Greatly desired Medallion Home in Rossmoor the âFarm Houseâ model. This 3 Beds 2 Bath sits on a 7700 square foot lot, single story. The home is ready for you to move in. Freshly Painted Inside and Out, New Carpeting, New Double Oven, New Dishwasher, Smoothed Ceilings, New Ducting, New Vanities, Faucets and Toilets. Updated Dual Windows, Updated Kitchen Cabinets with Granite Counter Top, with A Sub-Zero Refrigerator/Freezer, Custom Pillow Window Shades, The yard is surrounded with a block wall. 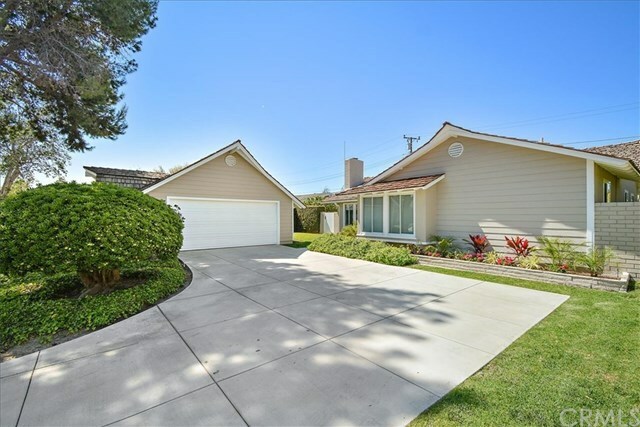 The home is located on a coveted interior street with the assigned Schools Francis Hopkins Elementary, Oak Middle School and Los Alamito High School. There are 54 Parks within 10 Miles, including 3 Dog Parks. If hiking is a favorite of yours it is only 2.5 miles from Gum Grove Park, only 2 miles from El Dorado Nature Center and 1 mile for the Old Ranch Golf Practice Center. Close to lots of Shopping and 211 eating paces within 5 miles. Located near Free Ways and easy drive to the beach. What are you waiting for, you must see this home? It is waiting for you to make it your own! Directions: Access Rossmoor from St Cloud which becomes Montecito, turn left on Tucker, turn left on Blume, turn left on Salmon Drive. House is on the Right hand side of the second block.